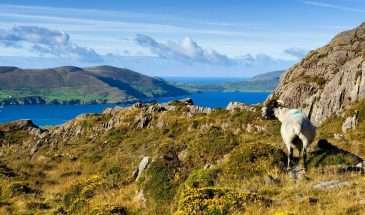 Your hikes will take you across the Glens, forests, sandy white beaches, high cliffs, quaint seaside resorts and small fishing villages. 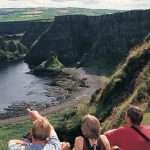 Visit the World Heritage Site and National Nature Reserve of the Giant’s Causeway, the ruins of Dunluce, Dunseverick and Kinbane Castles and if you dare cross the Carrick-a-Rede Rope Bridge. 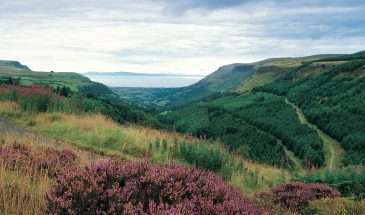 The Glens of Antrim North of Belfast are genuinely magical and are best discovered on foot walking the Moyle way. 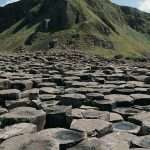 One of the best-kept tourism secrets in Northern Ireland it’s a magical place. It offers varied landscapes and the warmest of welcomes. 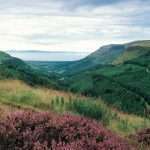 Rich in culture, tradition and history the 9 Glens are the jewels in Ulsters crown. 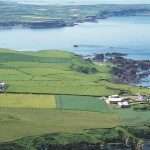 The Moyle Way runs for 43km through the heart of the world-famous Glens of Antrim a land of geology, wildlife, history, myths and folklore. 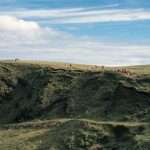 The Moyle Way is a waymarked route between Glenariff and Ballycastle. This walking route winds through scenics Glens and valleys and mountains that are part of the Glens ‘Area of Outstanding Natural Beauty’. The journey passes through a great variety of scenery and reaches its high point near the summit of Trostan. 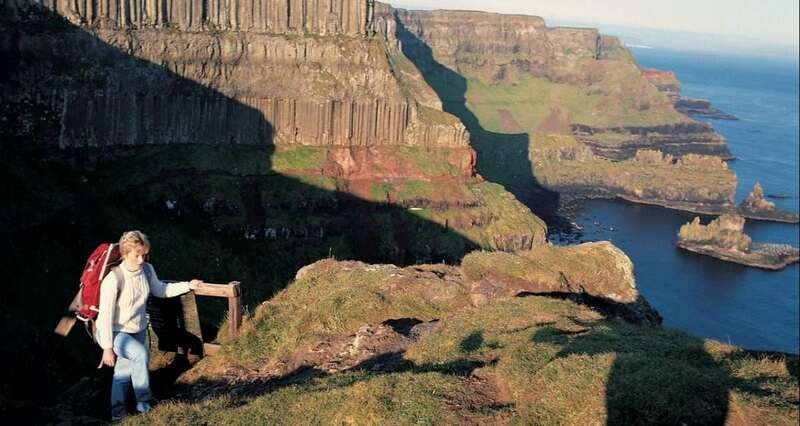 Highlights include views of Rathlin and the Scottish Islands, Breen Oakwood, unspoilt blanket bog, standing stones, cairns and Glenariff Forest Park. 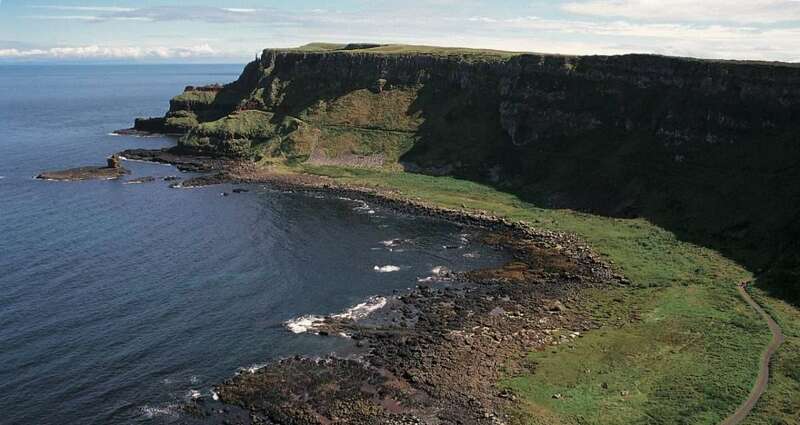 Visiting Rathlin Island just six miles north of Ballycastle is a must for all outdoor and nature lovers. It is no wonder that it is so popular with birdwatchers, geologists and anyone with a love of wild and rugged landscapes. The island is ideal for both walking and cycling (rent a bike on the Island) and enjoys puffins, guillemots and razorbills that make the cliffs and sea stacks their nesting sites from early spring to summer. 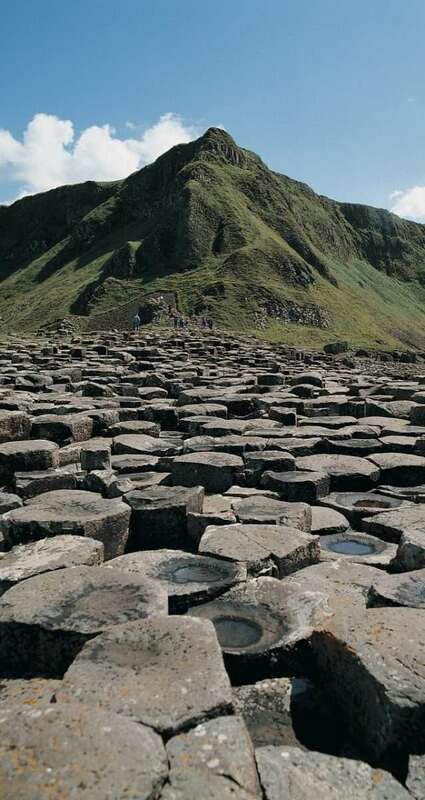 The Giant Causeway coast with its rugged and windswept cliffs, gorgeous scenery and unspoilt beaches is best known for the hexagonal basalt columns. 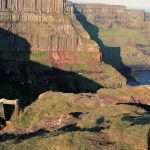 But there are many exciting and beautiful places to visit while hiking along this coastline, for instance, the cliffs of Torr Head, Fair Head and Benbane Head, the vanishing lake of Loughareema and the fishermen’s rope bridge across to Carrickarede Island. Below you can find details of 5 to 10-day programs that may suit you better. Don't forget, we can always adjust the program to suit your needs so please contact us should you want to make any changes that are not specifically listed. Day 2: Hike on the Moyle Way, Orra Beg to Ballycastle. Walk 19km. (+Day): Spend a day (or two) visiting Belfast and the Titanic Visitors Centre. This day can also be booked at the start of your walking holiday in Ireland. Day 8: Hike from Portballintrae to Portstewart. Walk 19 km. (Day 10): Spend a day (or two) visiting Belfast and the Titanic Visitors Centre. 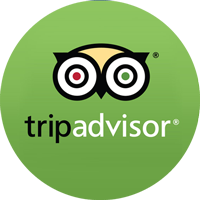 This day can also be booked at the start of your walking holiday in Ireland. 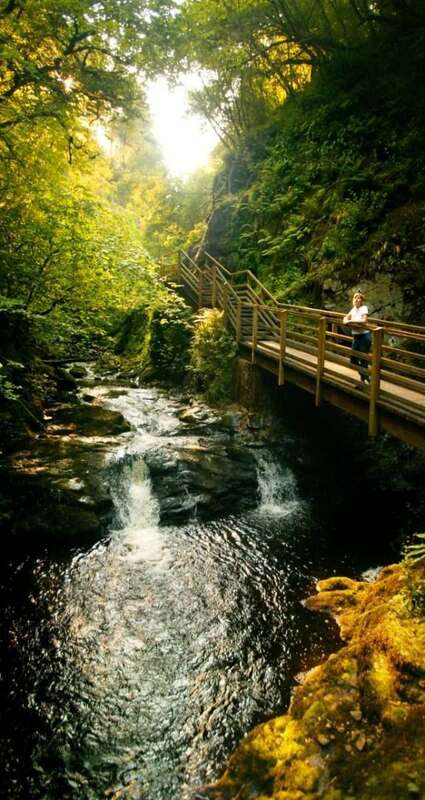 After a hearty Irish breakfast, we bring you to Glenariff Forest Park where you will be able to choose from various circular walks through ancient forests and past breathtaking waterfalls before hiking out of the Glen back to the coast and your B&B in Cushendall. 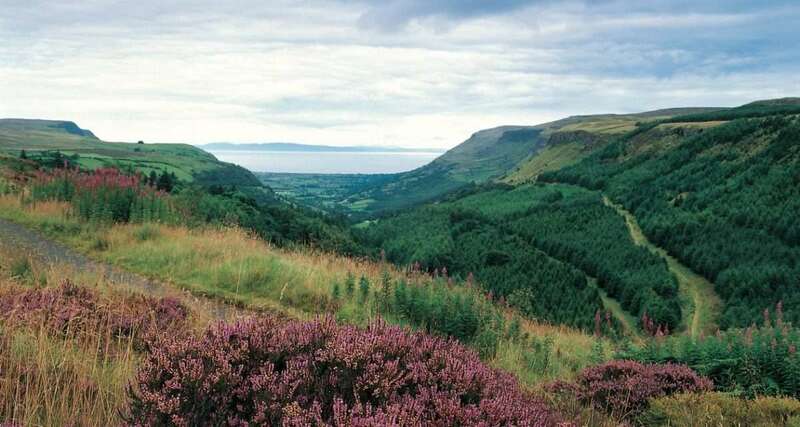 Overnight in Cushendall.Walk: 15 km | 4 hours | climb: 172m | descent: 344m | max elevation: 280m. | Forestry/grass tracks and minor roads. 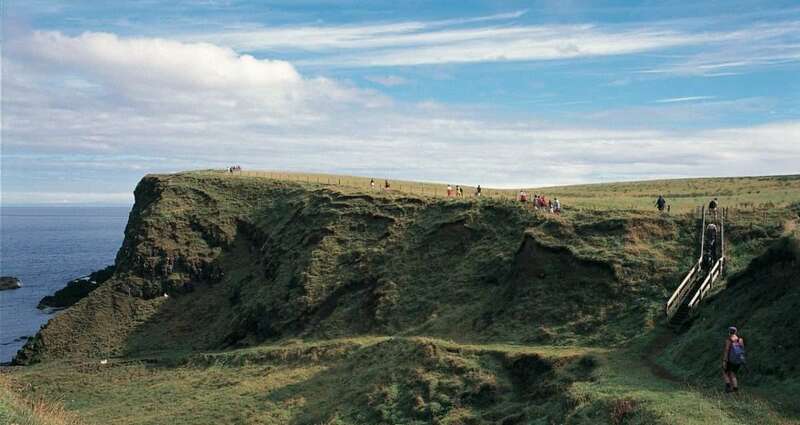 You will be transferred to the start of your walk on the Moyle Way near Agangarrive and Orra Beg from where you will follow the waymarked Moyle Way to Ballycastle; this outstanding hike combines woodlands, Glens and fantastic views of the coast. 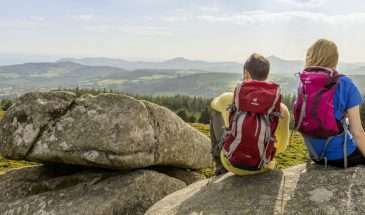 Overnight in Ballycastle where your baggage awaits in your B&B.Walk 19 km | 5,5 hours |height difference 350m | forestry roads and quiet country roads, parts can be wet underfoot. From your B&B it is a short walk to the Ferry which will take you to Rathlin Island (Tickets are not included and need to be pre-booked, weather-dependent). 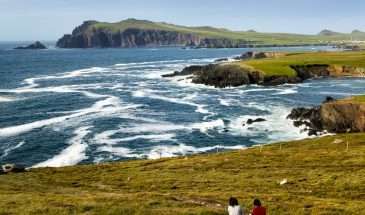 The island with its colonies of seabirds (puffins, guillemots and razorbills along with kittiwakes and fulmars) is L-shaped and offers a variety of walks. You can also rent a bike if you prefer to visit the RSPB lighthouse and see the puffins up close. Returning to your B&B in Ballycastle for the night.Walk 4-8 km. | 2–3 hours | Max. height: 100m. | Roads, beach and grassy tracks. 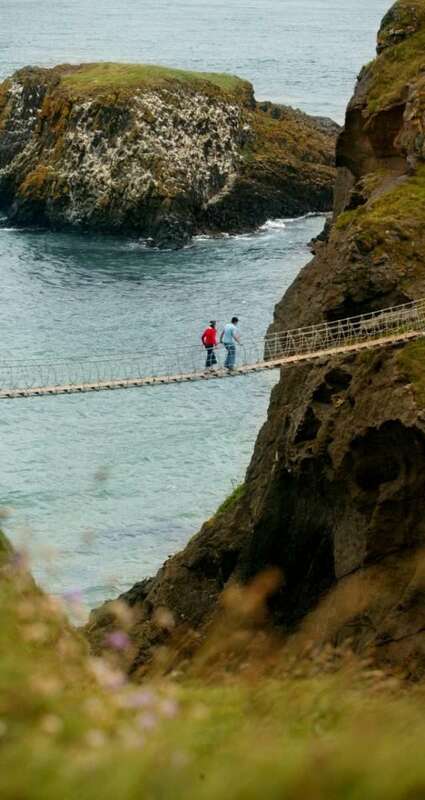 From your B&B in Ballycastle you will walk out of the town and follow quiet country roads, and forest tracks make your way to Carrick-a-rede, and it’s rope bridge before ending in Ballintoy. 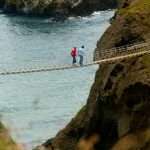 The bridge spans an 80-foot deep gorge that renders Carrick-a-Rede island; a must do for every visitor and gives a fitting exciting culmination to an easy day’s walk. 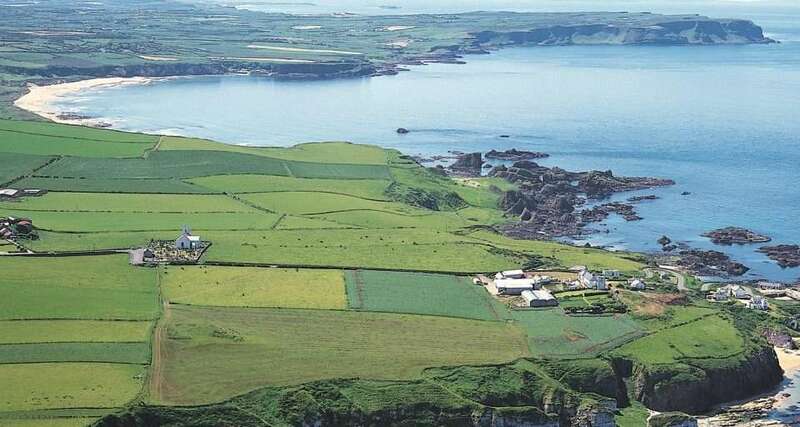 Overnight at Ballintoy.Walk 14 km. | 4 hours. | Max. Height: 120m. | Grass & Forest tracks and some road walking. On your final walk in Northern Ireland, you follow the coastal road to Portrush via Magheracross viewpoint and Dunluce Castle. Shortly after the castle, you continue on to Whiterocks beach, and a path leads around Ramore Head and Portrush Harbour. 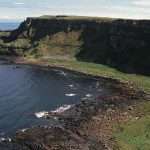 Following the last part of the waymarked way and along Mill Strand you continue along the coastline ending in Portstewart. Overnight at Portstewart.Walk 18 km. | 5 hours | Max. Height: 120m. | Walking along; roads, beach and grassy tracks. After breakfast and farewell at Portstewart, you commence your homeward journey.